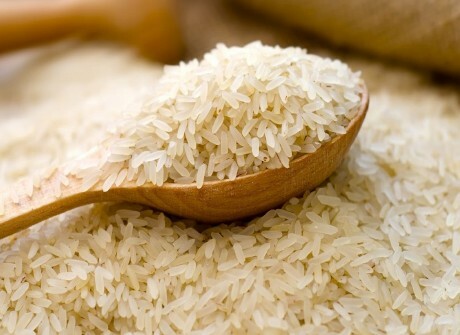 Rice is the most primitive and staple food in many cultures around the world. Many cuisines have the inclusion of rice to make their meals fuller and tastier. Apart from all this it is an important cereal crop that feeds more than half of the world’s population. Right from its origin it has been an easy to grow, cook and digestive food grain for everyone. Majority of the cuisines include rice as a main course in many different forms. But, strangely in the current times most avoid rice as it is considered bad when it comes to health. This is only a myth. If we go back in time rice was one of the most used food item in meals and people consuming it were more healthy, fit and thin as compared to today’s condition of where we find more cases of obesity, big waist size, big belly, cholesterol, blood pressure, etc. Rice is a complex carbohydrate and contains essential amino acids (methionine) that helps in mobilizing the fat from liver and when combined with legume or pulses it becomes a complete protein to provide good muscle growth. Thus, it’s a blessing for vegetarians. Rice when combined with some protein or fiber rich food becomes slow absorbing and hence there is no issue of sudden rise in the blood glucose with it. Diabetics out there,put it back on your plate and relish your taste buds all over again. Also would like to take this opportunity to clear the myth that “Rice is fatty”, the fact is that Rice is high on carbohydrates and when taken in wrong quantity, combination and timing then it can lead to fat gain, as a result of excess carbohydrates, which the body could not burn. It is an excellent source of vitamins and minerals like niacin, vitamin D, calcium, fiber, iron, thiamine and riboflavin. Thus, it helps in metabolism, immunity and better functioning of organs. Best food for high blood pressure. Gluten, Sodium & Cholesterol free. Rice abounds in resistant starch, which reaches the bowels in an undigested form. This type of starch stimulates the growth of useful bacteria that help with normal bowel movements. Insoluble rice is very useful in reducing the effects of conditions like Irritable Bowel Syndrome (IBS), and diarrhea. The starch water from rice is utilised as medication for various skin infections. Rice being high on various vitamins, phyto nutrients and carbohydrates, it becomes the best source of post workout meal for endurance athletes. To replenish their glycogen, help in relieving cramps and overall calming effect to the body. One reason have it in your dinner menu. Too much of anything is not good, so do eat your rice but at timings & combinations which will help you burn it all. Best time: Morning, Lunch, Post workout, Sick, Dinner ( Combine it with a protein or fibre rich food to get the best taste and results). Another question that often comes to me from my clients is which rice to have?Will give you more info on types of rice in the next blog.For now, opt for the white rice, husk removed and hand polished. As all of this retains the necessary nutrients in the white rice. It’s good to know that rice helps get rid of fat in livers, and it becomes a complete protein when combined with beans or pulses. I want to start eating healthier, and I’m trying to see just what would be good to eat. Rice sounds like it makes the list, so I should find somewhere to get some. would like to say that this blog really convinced me, you give me best information! Thanks, very good post. This article is really very informative . After reading this post I have huge knowledge of rice benefits ,Its not only a tasty meal but also provide so many healthy benefits. Thank you for sharing such a amazing benefits of rice with us!! !